Enlight Photo, has announced the arrival of its brand-new lighting system, titled the Orbis modular ring flash. This is an affordable camera accessory that will give your photos a shadowless light effect, the way only a ring flash can. 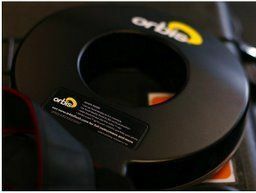 Unlike the traditional bulkier ring flash units, the Orbis is made of durable, lightweight ABS plastic and works by clipping on to a photographer's existing detachable flash, redirecting the flash light around the ring shaped unit. According to its makers, "the Orbis modular ring flash turns your detachable flash/strobe into a ring flash for beautiful, shadowless light. "The Orbis works with all common models of flash/strobe and uses patent pending light-tunnel technology to create an even ring of light." The Orbis will be available in early September at an introductory price of US$169 (£85). If you are deparate to get your hands on one, you can pre-order the product at www.orbisflash.com.